Barcelona line-up: Valdés, Adriano, Piqué, Bartra, Daniel Alves, Busquets, Xavi, Iniesta, Fabregas, Pedro, Neymar. Lionel Messi‘s injury casted a whole bunch of doubts in Barcelona‘s capability to still perform at a high level and come out of the Celtic Park with the 3 points. 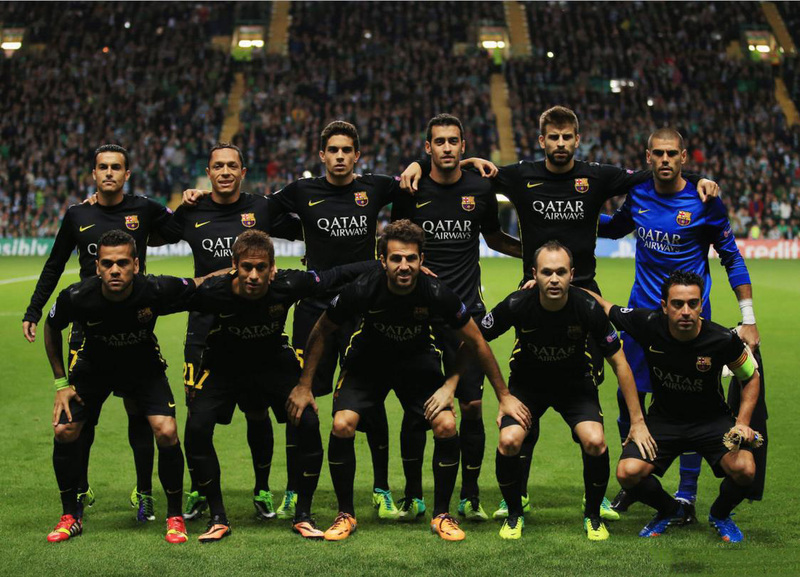 The Blaugrana knew what they were going to face this Tuesday night, as Celtic usually has no problems in parking the bus whenever they play against stronger sides in European competitions. Nevertheless, Barcelona got away with a narrow 0-1 win and are now leading Group H of the UEFA Champions League. Neymar returned to the line-up after having rested in the past weekend league game against Almeria, and he managed to have an important participation in Barça‘s winning goal. The Brazilian received a long ball sent from a teammate on the back, held a defender next to him and sent a nice through pass on the right to Alexis Sanchez. The Chilean raised his head, spotted Fabregas on the far post and crossed the ball on his direction. The former Arsenal midfielder headed it past Fraser Froster and made sure b would leave Scotland with the 3 points in the bag. Barça have now extended their winning streak to 9 games (7 in La Liga and 2 in the Champions League) and will host Real Valladolid next Saturday, for the Spanish League fixture 8.